On Republic Day, there’s no more serious matter to ponder than the negative synergy generated by the Combine of the military and DRDO-DPSU that’s pile-driving India into subservience, emphasizing its dependency on foreign armaments and strengthening its subordinate state status in the world. The political leaders across the ideological spectrum wax rhetorical about arms self-sufficiency being round the corner but neither have the interest nor intellect, leave alone any understanding of issues pertaining to national security, to implement anything remotely sensible and are quite happy to be led by their noses by military chiefs offering skewed “professional advice” and generalist bureaucrats with vested interest in the status quo. Hence, the god-awful system of defence production geared to military procurement from abroad flourishes. Exactly around this time last year, Air Marshal Harish Masand (Retd) wrote Defence Minister Nirmala Sitharaman offering her some information about how Hindustan Aerospace Ltd. actually works and why this premier Defence Public Sector Unit (DPSU), one of MoD Department of Defence Production’s ‘navratnas’, is in so sad a state and in such disrepair that the Modi government has been forced to blame HAL’s weaknesses — its inability to even screwdriver various aircraft together from imported kits very efficiently, something it has done for most of the last 60-odd years, its low labour productivity, and dismal quality control — to justify buying 36 French Rafale combat aircraft off the Dassault Avions shelf. Air Marshal Masand, for those who may not be aware, is a VrC and, until his retirement, was simply the best fighter pilot in the Indian Air Force, his aircraft of choice — the MiG-29, which he rates as the best fighter plane, ton for fighting ton. Indeed, in display flying, he repeatedly and abrasively showed up the French Mirage 2000 that his Service was sold on. In the process, he gained the ire of his seniors and compatriots, ensuring that despite the requisite seniority and a spectacularly good record in service that would have put him in the running for the Chief of Air Staff post, his career was sidelined. In many respects, he is the Air Force analogue of the great General Hanut Singh in the army. Utter professionals and sticklers for doing the right thing, neither attained the heights their gallantry awards, seniority, honesty and proven competence should have guaranteed them. I recall CAS ACM SP Tyagi, who could have retrieved Masand’s career when he assumed office in late December 2004 but didn’t, telling me that Harish was “not a team man” — a phrase curiously used by Masand’s juniors who made it as AOCs-in-C. In the Indian military, it is necessary to fall in line with the pet peeves and projects of the Service and the Service Chief of the day and, most importantly, to be a team man or you are out. So, out went Hanut and Masand. But that’s par for the course. The best and the brightest in the armed forces rarely make it to 4-star rank. Comparing and contrasting them with the usual strategically dim-witted sort who do pretty much explains why the Indian armed forces find themselves in the sorry straits they are in now. With military leadership lacking foresight, it is natural, because no real demands are made on them, for DPSUs-DRDO to also be short-sighted and show the same slack will and lassitude, and to be content with doing as little as possible for as much moolah as they can corner. Displaying minimal technological innovation, commercial sense and market logic, the DRDO-DPSU Complex moves hand-in-glove with the military to waste national resources on arms imports — the new means, incidentally, of transferring wealth from a poor country to rich countries, not unlike what India suffered during the hey day of colonialism. The political leadership in the country is squarely to blame. No armed service’s Chief of Staff is ever dismissed for wrong advice to buy this, that, or the other that prolongs the country’s arms dependency and misery, and DRDO-DPSU heads are not hauled up for gross ineptitude of their organizations in ingesting technology, not developing advanced designs and products, and for failing to manage a labour force so unmotivated and with such bad work ethic as to be an economic liability. All this because there’s no accountability anywhere in the Indian government system. It has made for an institutionalized business model built on wastefulness followed by the military-DPSU-DRDO Combine, and in the case of IAF, the HAL-DRDO Complex, that Masand described in his letter to Sitharaman and in a piece (“What ails HAL”) that he has just published in the Indian Defence Review (at http://www.indiandefencereview.com/news/what-really-ails-hal/ ) thus: “If HAL can buy something for $10, it would rather pay $100, and if DRDO can do a job in on year, it would rather take ten.” Masand can speak authoritatively on HAL’s functioning because, as Wing Commander in the early 1980s, he was in-charge of the MiG-21 bis upgrade programme, whose original cost of $850 million in 1994 was, owing to financial crunch, pruned by MoD to $626 million (Rs 2,000 crores). However, Masand’s strict oversight brought the programme in on time and without cost over-runs. The $224 million that was cut proved in excess of need for the MiG bis programme, but it hints at the kind of built-in margins for loot that the armed services personnel and MoD officils in the procurement loop, and DRDO, and DPSU share in. With the screwdriver tech capability-ceiling of HAL (and Mazgaon, etc.) translating into cost (of CKD/SKD kits) plus 2% profit, the government can claim profitability for DPSUs and keep them going. Masand’s letter to the minister expressing his willingness to provide her the inside dope on how and why DRDO and DPSUs, in which the nation has invested heavily, regularly produce miserable results, of course, went unheeded. For effect and show, the military/IAF will complain incessantly about DRDO and DPSUs/HAL being the great villains, whose consistent failures over decades in delivering the promised products in time has lost them the trust of the armed Services/IAF and compelled them, or so they claim, to import just about every major item in sight, reinforcing India’s shameful standing as the largest buyer of arms and imperiling the country’s security. However, the profligacy and R&D and industrial shortcomings of DRDO-DPSUs serves the military fine because it means a perennial rationale for importing stuff. On the rare occasion when indigenous weapons system design and development projects do get off the ground and into production stage after overcoming every obstacle erected in their path, such as the Tejas LCA and the Arjuna Main Battle Tank, the armed services delay their induction and mass production using any and every ruse they can think of. Thus, despite Arjuna MBT besting the Russian T-90 in every test category, in every weather condition, in all terrains, the army has been reluctant to buy it in large numbers on the ground that it is too heavy and cumbersome to transport easily. The obvious solution for this problem would have been for the government, MoD, and the army to agree by consensus that the home-grown design — the most important aspect of any weapons systems in terms of production — needed a small tweaking to reduce the weight and size. Likewise in the case of the Tejas. Because the design is an NAL-DRDO product, the intelligence on the plane, its source codes, etc are all entirely with India. This design can be upscaled and modified to obtain the Advanced Medium Combat aircraft, the proposed follow-on aircraft to Tejas, or miniaturized to realize a weapons-bearing, long endurance, war-drone. India can do whatever it wants with it and will finally free the country and the IAF of the importitis disease. But no, that’s not what has happened. 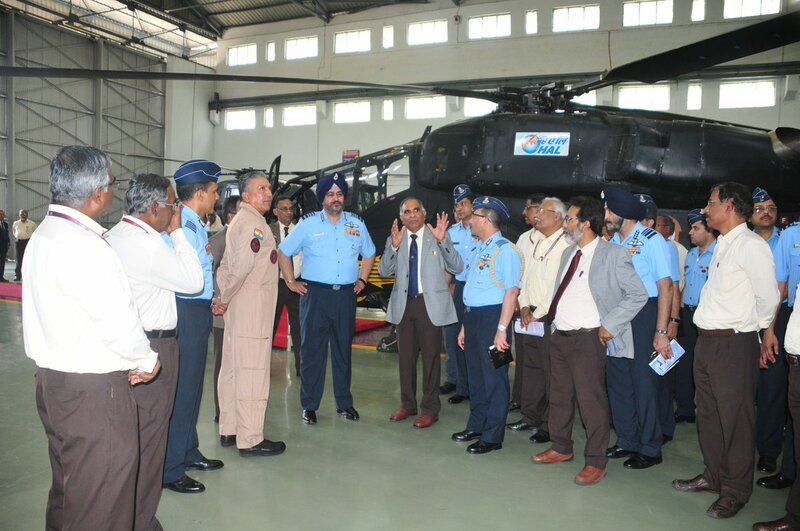 Far from writing finis to buying foreign combat aircraft, IAF is compounding its logistics and operational problems by going in for yet another type of aircraft to make up the balance 126 MMRCA, even as the indigenous AMCA project is shunted out of sight. The excuse being the depleting squadrons, which the IAF frequently makes public through a compliant media and which the political leadership of the day, in order not to appear änti-national”, ends up funding. Whether manned combat aircraft anymore has relevance in the coming age of remotely-controlled drone swarms is never considered. So the Tejas has been held up with the IAF insisting that the LCA be delivered in battle-ready state with fully certification and all avionics, weapons, FCS, etc integrated and tested, which harsh conditions, incidentally, are NOT imposed on imported fighter planes! And in any case, such a deliberately elongated induction process is contrary to the practice of the far more advanced air forces who induct new aircraft into the fleet even as they are undergoing the various stages of certification for air worthiness, on-board weapons and avionics integration and testing, etc. This is the case, for instance, with the US Air Force which is flying the F-35 while going through the certification steps with the problems detected and corrected based on feedback from pilots. This has required design tinkering of the aircraft and of the on-board sub-systems by Lockeed, the aircraft supplier. In other words, improvements in the aircraft, whole and in parts, to make it fully operational proceed in parallel with the aircraft’s induction. System and sub-system rectifications and technical solutions are then retrofitted on to aircraft already in the fleet, as is happening with the F-35. It saves time and money even as it speeds up acceptance of the aircraft by the force’s fighter jock community. Had this procedure been followed for the Tejas, its scaled-up production and induction, instead of being delayed for another 3-4 years, would have begun some five years back and the Tejas by now would have filled at least 2 squadrons even at HAL’s desultory annual production rate of some 8 aircraft. As things stand, IAF has still to sign a production contract and HAL, in turn, has still to activate its second production line, which would increase the rate to 18 Tejas per year. Given the paucity of fighter planes, why wouldn’t the government-MoD do the obvious thing and farm out the production of the Tejas to several private sector companies — L&T, Mahindra Aerospace, Tata Defence Systems, and even Reliance Defence, for surge production of the LCA as I have been advocating for many years? This will mandate NAL-DRDO transferring full technology to the private sector along with the source codes, operational algorithms, etc. This, of course, is being resisted because it will set up the private sector as a genuine and far more capable competitor to the DRDO-DPSU complex and possibly drive them out of the business or, as is equally likely, motivate HAL/DPSU -DRDO to become more efficient and effective, but who wants that? HAL/DPSU-DRDO would rather have the present state of affairs continue in perpetuity with MoD facilitating custom for them with licensed production of imported goods. Periodic controversies, like the one attending on the purchase of 36 Rafales, is great and serves the purpose of keeping the situation in as-is condition forever. The IAF, in the event, couldn’t be happier. In this sense, the IAF and HAL and, in the larger context, the Indian military and DPSU-DRDO do, in fact, work well together! This entry was posted in arms exports, asia-Pacific/Indo-Pacific, Asian geopolitics, civil-military relations, corruption, Decision-making, Defence Industry, domestic politics, DRDO, Europe, Geopolitics, Great Power imperatives, India's strategic thinking and policy, Indian Air Force, Indian Army, Indian democracy, Indian ecobomic situation, Indian Politics, MEA/foreign policy, Military Acquisitions, Military/military advice, Russia, russian assistance, russian military, South Asia, Strategic Relations with the US & West, Technology transfer, United States, US., Weapons. Bookmark the permalink. Bharat Karnad ji is there any solution to this problem, apart from the nigh impossible task of hoping that some ministers and military men will come who have their head in the right place. The root of the problem lies in the preamble of the constitution, which say “India is a sovereign SOCIALIST democratic republic”. Our nation wants ” job security ” for even the most incompetent and corrupt employee of the government. Be it a military brass or a babu or employees of DPSUs. You see, HAL,DRDO and bureaucracy are unionized, they put their job security in front of every damn thing on this planet. This is what you get for swearing by “SOCIALISM”. So, only when we are ready to flush down socialist ideals down the crapper, we will be saved, else no. Short of a radical restructuring of the DPSU-based defence industry along the lines I have been advocating, with L&T and Tata heading two competing industrial combines carved out of the present lot of DRDO labs, HAL, Mazgaon, BDL, etc and Ordnance Factory Board assets, No. Bharat Karnad ji are there any upcoming men in the military who have the right mind regarding these issues and has a shot at being the Chief?